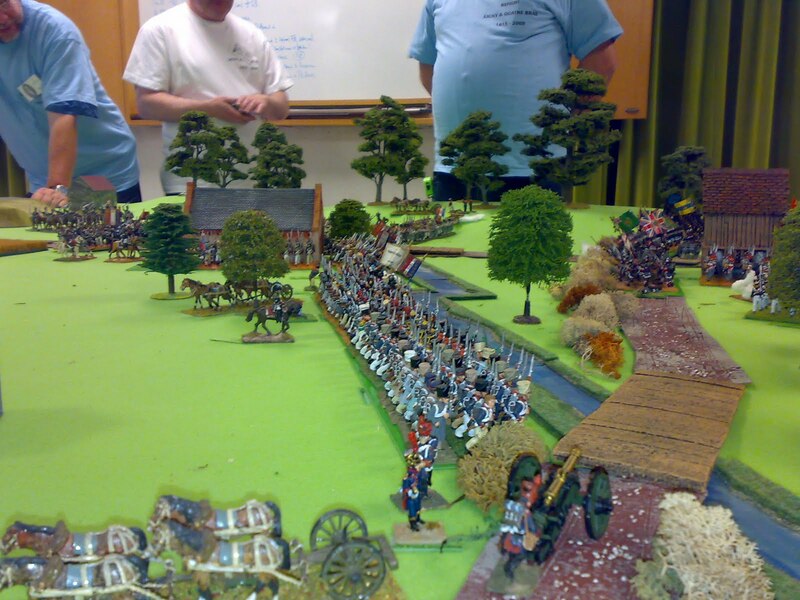 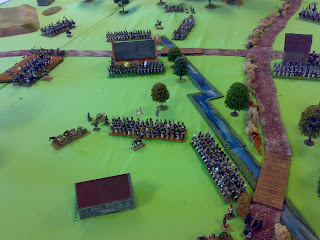 Last weekend, about 25 people from various Flemish wargame clubs, did a refight of the twin battles of Quatre Bras and Ligny. 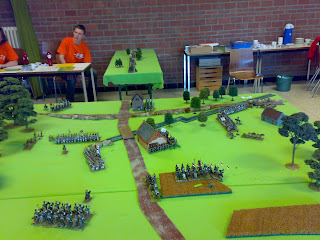 This was neatly organised by Karim VO, and well led by a team of umpires consisting of Marcel G, Alexander "Willie" W and Joris R, as well as Karim himself. 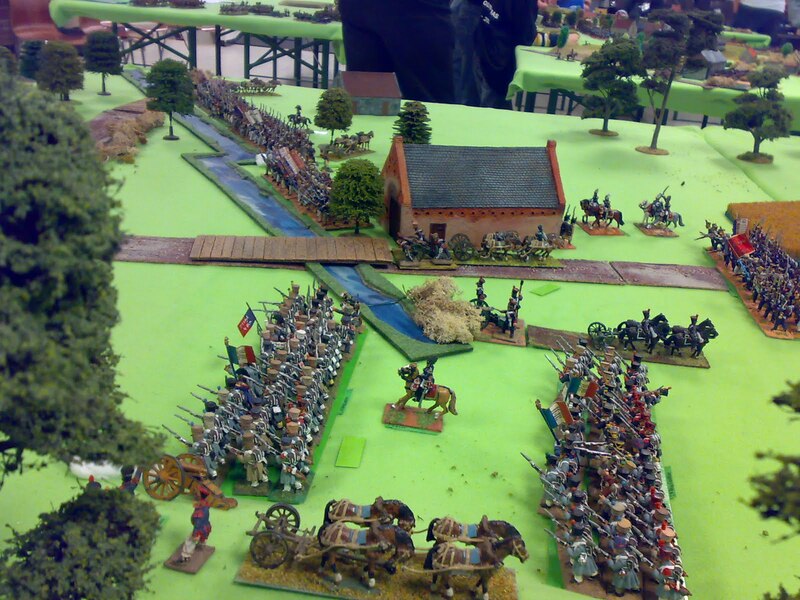 Below are some pictures I took on Saturday of the Quatre Bras table (where I took charge of Reille's corps) (I couldn't attend both days, sadly).